There’s an easy way to test if one is from Nagercoil (or thereabouts). Just offer him or her chips. Yes, good old banana chips bought from any random place out of town. Chances, are, the Nagercoilite will say, “No thank you,” or just take a couple of them for the sake of courtesy and munch on them half-heartedly. On the other hand, offer him or her a handful of chips from a certain ‘Ramalaskhmi Sweets’ in Nagercoil and watch the fireworks. The eyes light up immediately and a look of understanding passes between the ‘offerer’ and the offered, a look whose message can only be decoded by another sharing the same hometown (to put it broadly, the same district). There’s something about those chips that spoils us for life. We simply cannot relish chips from anywhere else after that steady dosage we all grew up on. I know that true blue Mallus swear by the fresh banana chips fried in coconut oil, a remarkable ambassador of the delightful cuisine offered by God’s Own Country. But despite all the common aspects – especially on the culinary front – that we share with our neighbours, when it comes to chips we beg to differ. Just another nondescript shop. But the stuff they sell is to die for. Ramalakshmi Sweet Stall sells other snacks too. Everything fresh and delicious. But it is the chips that they are known for. Then comes their Mixture. But let’s focus on the chips for now. So what’s so special about the chips from Ramalakshmi? Honestly, I do not know. But they do have a slightly different appearance, thicker with the surface puffed up and bubbled, while the regular Kerala style chips are usually flat and thinner. When I scarf them down, I am too busy enjoying the symphony of flavors on my tongue to diagnose it too closely. Maybe it’s that slightly spiced flavor or that tantalizingly elusive hint of garlic on the tongue. Now you taste it, now you don’t. You get a whiff of it and try to trace it down to its origin, but it disappears before you can get a firm grip on it. By then, the taste overpowers you and you simply choose to close the investigation and lose yourself in the crisp delight breaking up in your mouth. 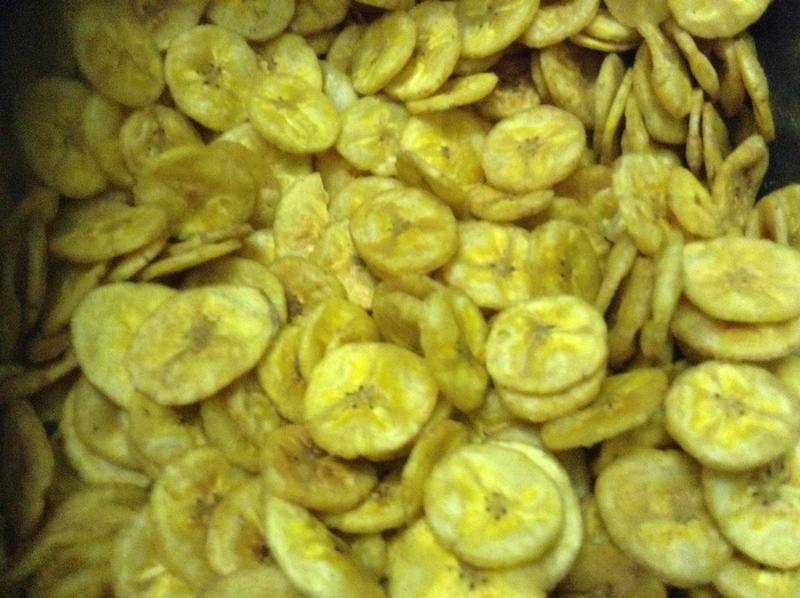 Maybe the secret lies in the fresh oil used to fry the chips or in the goodness of the locally grown plantains. Maybe its the mix of spices used to spiff things up. Or maybe it is just an acquired taste. Maybe we, especially the ones who have flown away to far off lands taste with our hearts rather than our tongues, making us pledge unswerving loyalty to these chips; but I do know people who have crossed over to these chips even after being brought up on the pure coconut oil fried ‘authentic’ varieties. 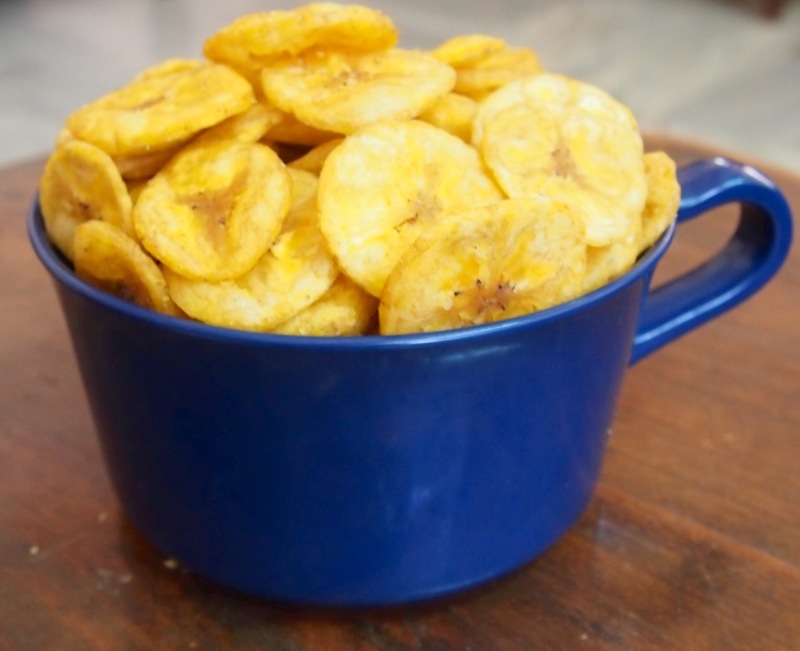 I know Nagercoilites who adamantly refuse to eat banana chips from anywhere else. Most homes mandatorily have a continuously refilled stock of these chips. There are those who have them regularly couriered to wherever they live and people like me who dedicate a whole bag just for those chips after a trip home. Chips weighed and packed under the watchful eyes of the gods and the founder. These chips are not just a snack. They can practically be eaten at any time. Unannounced guests dropping in? Bring out a plate of chips. Puttu and pazham looking unappetizing? Crush in some chips into the puttu to quickly perk things up. No fish curry for lunch? Boring dinner? All it takes is a handful of chips to brighten up that plate and turn your meal into a delectable feast. 11 O’ clock hunger pangs? Break out the chips. Perfect to munch on during trips and during snack breaks. These chips don’t just go with your 4 O’ clock chai. They are the anytime, anywhere kind. And when I think of those chips, my fondest memory takes me back to our dining table back home – my morning cup of tea lovingly made by my sister-in-law, shared with a bowlful of chips and a side of succulent gossip. I can already hear the crunch! Pictures Courtesy: D Ramesh and Jayashri Ravindran. Posted in Kanyakumari Chronicles, Life & Living, Of This & That, The Things I Eat and tagged Banana chip, Food, Nagercoil, Nagercoilite, Nostalgia, Ramalakshmi Sweets. Bookmark the permalink. Are there any other famous brands for banana chips in South India? This seems like a non branded shop. Thanks for visiting. Not sure about the couriering. I shall find out and let you know. can anyone provide me the contact number of this shop…. I shall get back to you on that. Thanks for dropping by. to tell the truth, i am rather partial to the iruttukkadai halwa. Nothing beats the Nagercoilian chips! I just love your posts and recently came to know that my mom and you both went to the same college, around the same time too! Thanks for writing in Zeina. Glad you enjoy my posts. So your mom and I were college mates? Mind letting me know who she is? Yasmin, from the commerce department. Her younger sister went there too. My Dad Studied @Nagercoil So He Knows The Taste Of Ramalakshmi Sweet’s Chips. So We Buy Chips Whenever We Go To Kerala To Visit My Cousin. 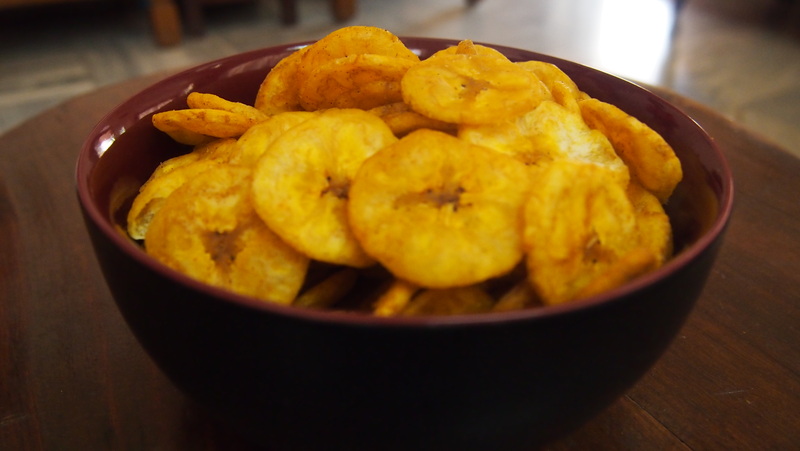 Am Damn Sure Other Plaintain Chips Can Beat Their Tastes…. Thanks for writing in Sanjeiv. Now you know where he gets it from. Could you pls let me know about the location of Ramalakshmi Sweet Stall? 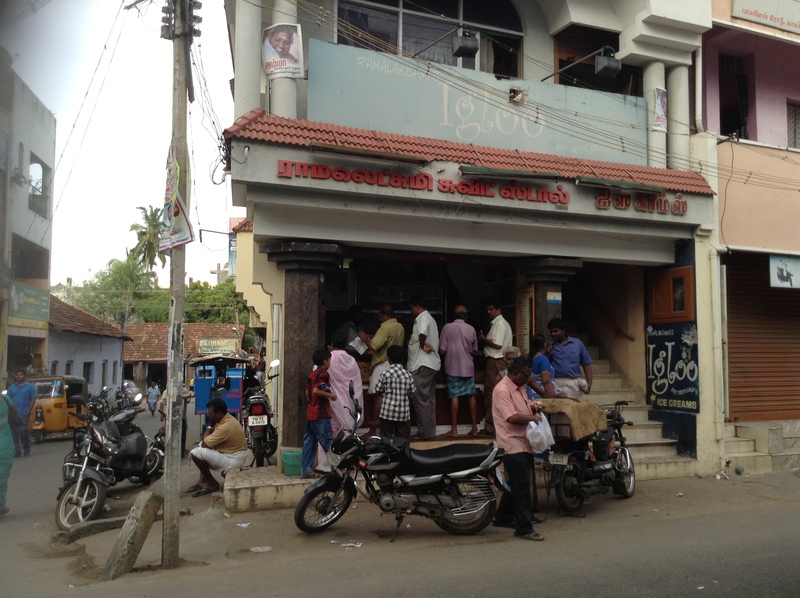 I regularly buy chips (taste just as what you described) from Murugavilas at Marthandam – a cute little shop just opposite the CSI church, along the main road. 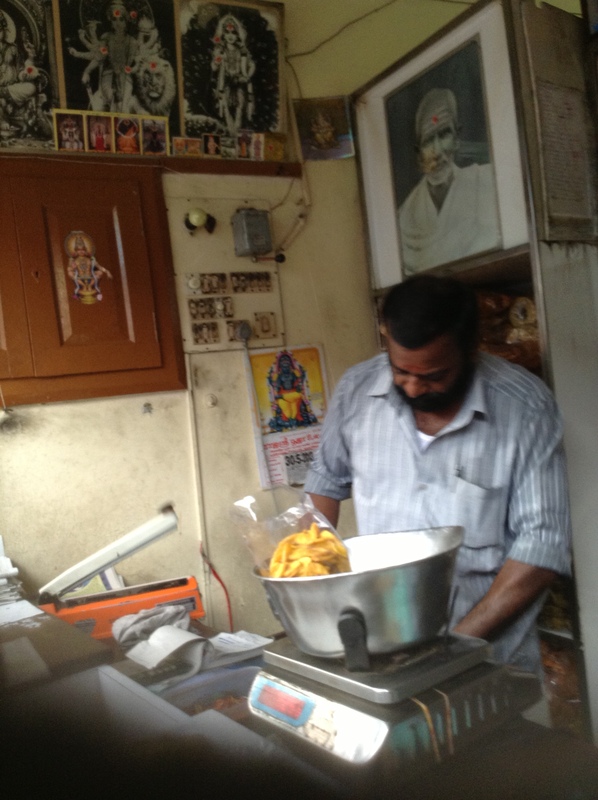 Ramalakshmi Sweets in near Tower Junction. shaji, when we meet again in february 2014 god willing, do bring me a packet ok.. Went to Nagercoil and then came back to Chennai in a minute…. But the chips always attracts you NRIs more than the locals like us who pass the shop every day. Nothing to beat it say my sons and brother and our check in bags are always filled up with these freshly packed – courtesy ‘Pepsi’ Selvam. We always wonder why he is called Pepsi Selvam .He has to be called ‘ Chips’ Selvam. Yes, Rajam chechi. since it is within your reach you all don’t realize its speciality. we who have flown away are the ones who crave for it. i guess it is because we do the tasting more with our hearts rather than our tongues. biting into those chips, we taste our childhoods, our happy places and a delicious dose of nostalgia! and he’s called ‘Pepsi’ Selvam? that’s funny. We really need to rename him. I have a bag in stock already 🙂 Even after staying more than 10,000 miles away from home our love for RamaLekshmi chips is never ending! Lemme know the next time u r in tvm Shivaja. The feeling is mutual Shivaja. Will let u know my travel plans. of course! but only one bag Vino? Their fresh halwa is also good. Dunno if tirunelveli folks would agree tho!